Woking calls in over half the supercars it's sold in the United States. Fewer than 3,000 vehicles would barely amount to a blip in the radar for most mainstream automakers. But this recall isn't being issued by a mainstream automaker. It's been issued by McLaren. And while the British automaker may sell more of its exotic supercars with each passing year, its sales still number in the thousands – not tens of thousands, hundreds of thousands, or millions. The 2,792 vehicles it's recalling, then, is a relatively huge number. 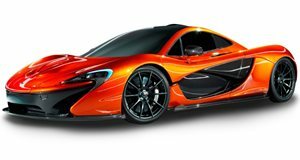 More than half, in fact, of the 5,000 or so vehicles it's sold in North America since McLaren Automotive was founded in 2011. The recall covers an array of models from the racing-team-turned-exotic-automaker's Sports Series, Super Series, and even Ultimate Series built in Woking between January 2011 and October 2017. 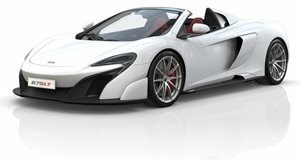 That includes the MP4-12C that launched the brand, the 650S that replaced it, the 675LT that took it into more extreme territory, the P1 hypercar that was its first hybrid, and the 570 models (570S, 570S Spider, 570GT) that brought it closer to the mass market than it ever had gone before. The problem isn't so much McLaren's as it is Takata's, which supplied its troublesome and deadly exploding airbags to just about every automaker in the business. McLaren's dealers will still have to perform the service of replacing those units, though. And with the replacement units now apparently on hand, that process kicked off yesterday. Fortunately, Woking has the dealers in place to carry out the service. In the past eight-plus years, its global retail network has expanded to over 80 locations in 30 countries – including 21 in the United States. 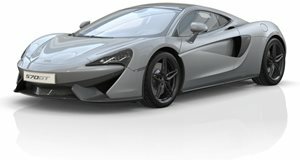 So chances are by now that there's a McLaren dealer in your area. And if you've bought a car from one of them, you'll want to watch your mailbox for that recall notice.